Great news for the new year: IAC acrdited the Executive Education programms of Vedadrama India in Humanistic Psychodrama. IAC is the international umbrella organisation for therapy, counselling and coaching. The colorful Coimbatore group meets for the fifth time for two days. The two year program will follow now. Sorry. No places are free. The new Group at New Delhi/Gurgaon started with 25 participants. Most of them decided to go for a two years journey which will start in July 2017. Places on a waiting list are still free. 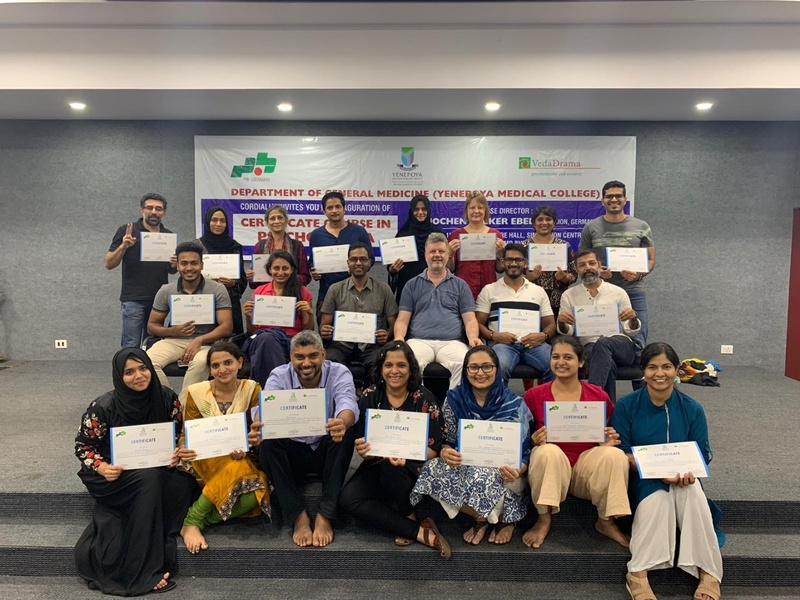 Three participants got the leadership (one year) certification in Psychodrama at Chennai: Dr Mohan, Jayashree and Anandh. Three participants got CPP certificate (2.5 years) in the first Bengaluru group: Aruna, Sudha, Madhu.